During your visit to the location of Flemish Brabant, Belgium, you can have an unforgettable experience visiting the Gaasbeek Castle. Originally in the year 1240, this castle was erected. The castle has gone through many damaging events. But it was revamped again and again and now also it stands tall. In the year 1980, authority turned the fort into a museum. 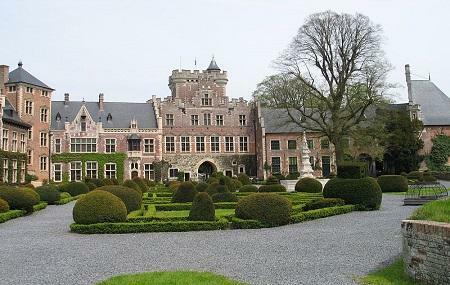 Visiting the Gaasbeek Castle you will be surprised by its features apart from its gorgeous built. The royal gardens make the castle look outstanding. You will find the rooms of this castle and the decor of its interiors highly impressive as they still carry the old charms. How popular is Gaasbeek Kasteel? People normally club together Beersel Castle and Chez Léon 1893 while planning their visit to Gaasbeek Kasteel. Supermooie omgeving om te wandelen, fietsen, ..